Last spring I heard about a technology conference coming to Coeur d'Alene. There were promises of robots, self-driving cars, and the people who bring those technologies to life. It wasn't an education conference, yet I was excited. 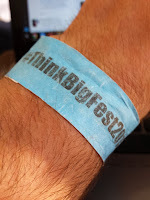 The Think Big Festival was outside my personal budget for these type of things, but the organizers were kind enough to offer some free registrations to our school district (which I missed out on) and discounted registration for other interested teachers (Thank you so much for that, Nick Smoot). It was an amazing event, and it gave me lots to think about. I'm still figuring out how to bring things I learned about there into my classroom. Hopefully you'll read about those later this school year on my blog. For now, I'll share some highlights. I took a ride in a Tesla S. I signed up too late to get an actual test-drive, but someone who did was kind enough to let me sit in the back seat. That is one incredible vehicle. I had never ridden in anything with such high performance and luxurious finish, but the engineering and ideas were even more impressive. The Tesla representative that rode along with us explained how nearly all of the components are built from scratch and Tesla's commitment to being completely U.S. made. He also had a great story about the impact of education: one of his high school science teachers took a group to visit Tesla headquarters when he was 16 years old. He was so impressed that he bought stock in the company. 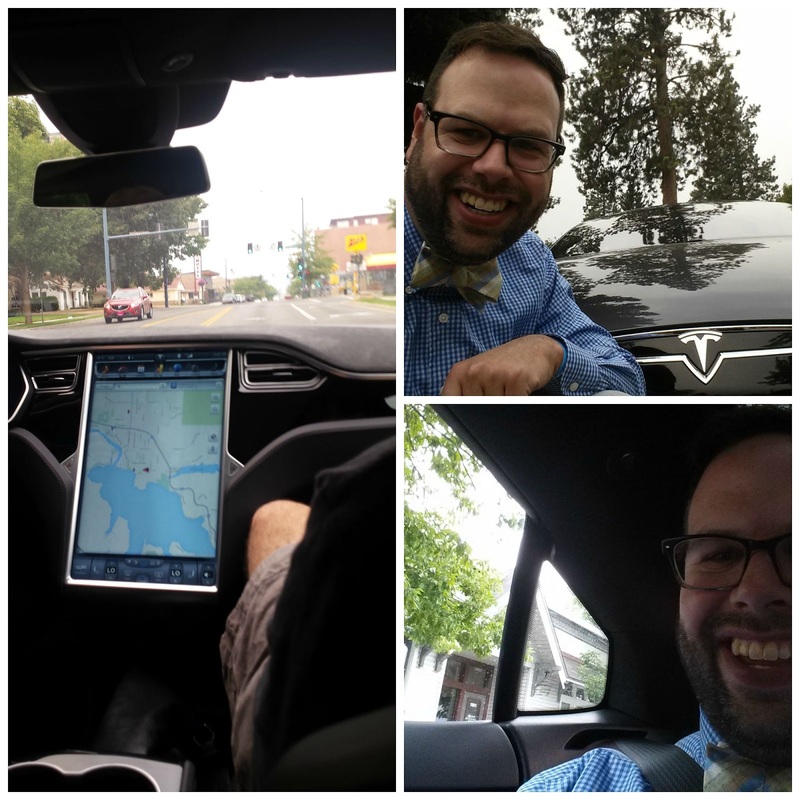 By the time he finished college, he had received an impressive return on his investment and was able to get a job managing the roll-out of Tesla's infrastructure in the Northwest. On the test drive, I got to ride next to 10 year old inventor, Alexander Knoll. 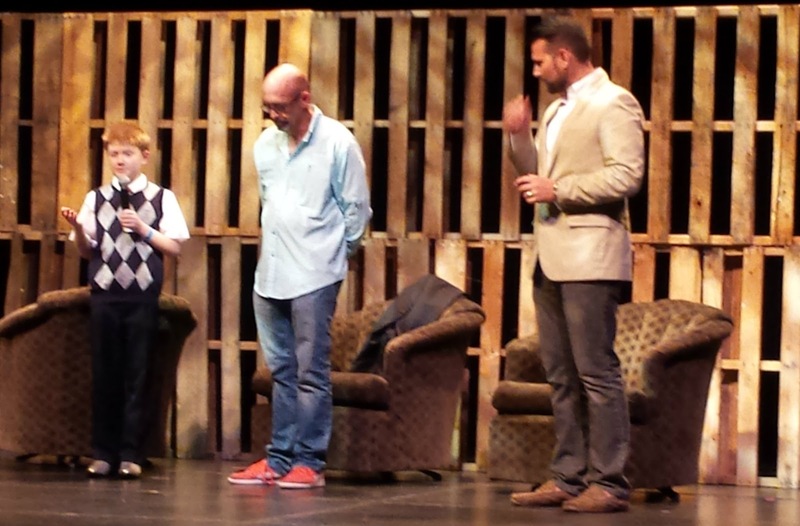 He is this year's Invent Idaho and I Cubed Challenge winner with his Ability App. We exchanged business cards and I got him to agree to videoconferencing with some of my students later this year to get them pumped up about inventing and participating in our school's Invent Idaho competition. I captured the most touching moment of the festival above. 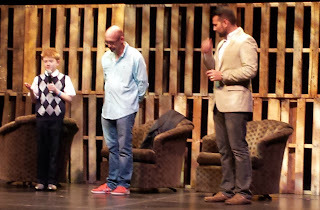 Guy Fraker, one of the festival's panelists, announced that his company would partner with Alex to make sure his invention was fully funded and on the market within a year. Aquaai unveiled their robotic fish at the conference. It is able to swim with just one motor and the company would one day like it to swim waterways and broadcast images back to shore. It sounds like social media for the aquasphere, and it's definitely something I would like my kids to experience. Another highlight from the day of speakers and panels was hearing Burt Rutan, designer of Spaceship One. He talked a lot about going for it and doing the impossible. He said, "You have to have confidence in nonsense if you are going to have a research breakthrough." I think that is a good reminder to honor our students' ideas, no matter how crazy they get. You never know where they might lead. Guy Fraker was also a part of the transportation panel and he shared the story of his son with autism first seeing a video of Google's self-driving car. For the first time, his son could imagine owning a car and having the independence that goes with it. The final day of the festival was a playground of cool technology. My son and I got to try out virtual reality with Google Cardboard and Oculus Rift. I absolutely want to get Cardboard for my classroom so students can see places like the Smithsonian Air and Space Museum Udvar-Hazy Center from inside the photosphere. 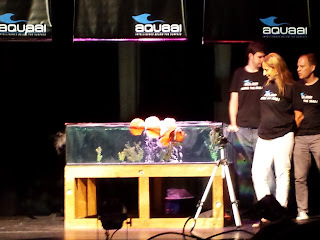 There were lots of robots including the Aquaai robot fish, homemade remote control submarines for collecting water samples, and the work of a local high school robotics team. 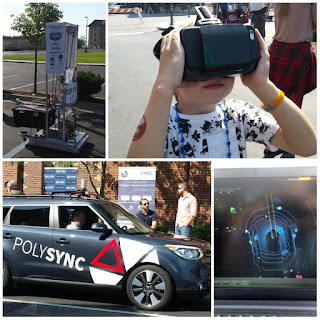 I also got my second high-tech vehicle ride of the week when I got to see how the sensors for autonomous vehicles work in the Polysync car. You can see some more perspectives of the event in the Storified version of the conference's Twitter activitiy.